We’d love your help. Let us know what’s wrong with this preview of Professor Martens' Departure by Jaan Kross. Widely read in Europe, the Estonian novelist Jaan Kross is considered one of the most important writers of the Baltic region, and is an often-named candidate for the Nobel Prize. 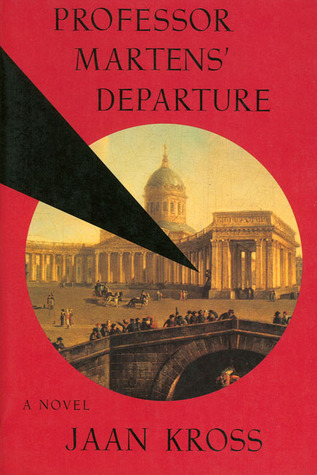 His new historical novel, Professor Martens’ Departure, is written in a classic elegiac style reminiscent of Giuseppe di Lampedusa’s The Leopard, and it evokes the complex world of czarist Russian Widely read in Europe, the Estonian novelist Jaan Kross is considered one of the most important writers of the Baltic region, and is an often-named candidate for the Nobel Prize. His new historical novel, Professor Martens’ Departure, is written in a classic elegiac style reminiscent of Giuseppe di Lampedusa’s The Leopard, and it evokes the complex world of czarist Russian society at the turn of the century. The character of Professor Martens is based on an actual official of the czarist reign, a distinguished Estonian jurist curiously reminiscent of Henry Kissinger. Faced with a dire financial crisis in Russia, Professor Martens orchestrates a major loan from the French government to stave off famine; as time passes, however, he realizes that he has managed to perpetuate a brutal regime that keeps its political prisoners in chains. This fictional memoir, written at the end of Martens’ life, finds him reliving his past and questioning the degree to which he has sacrificed himself to maintain a corrupt regime, one that ultimately disdains both him and his people. Considered an outsider by the czar’s adviser, Martens is nonetheless needed for his skills. Still, he is marginalized and kept in the shadows. To ask other readers questions about Professor Martens' Departure, please sign up. A great historical novel about a real person, Friedrich Martens (1845-1909), an Estonian-born Russian diplomat who was a key negotiator for the Russian Czar. 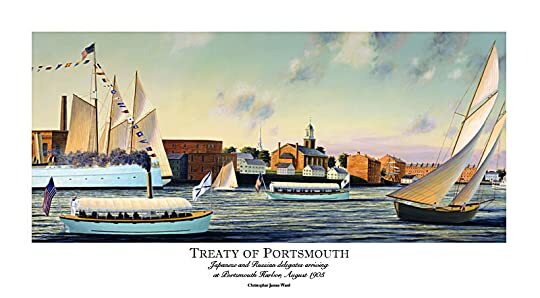 For example, he helped negotiate the treaty ending the Russo-Japanese War with Teddy Roosevelt’s administration at Portsmouth, New Hampshire in 1905. Martens was involved in establishing the World Court at The Hague and the International Red Cross organization. The book is a fictionalized but very factual biography. Unlike a traditional bio A great historical novel about a real person, Friedrich Martens (1845-1909), an Estonian-born Russian diplomat who was a key negotiator for the Russian Czar. For example, he helped negotiate the treaty ending the Russo-Japanese War with Teddy Roosevelt’s administration at Portsmouth, New Hampshire in 1905. The book is a fictionalized but very factual biography. Unlike a traditional biographical work, we learn more about his childhood late in the book. The book is translated from the Estonian. The book is structured as Professor Martens in his old age reflecting back as he travels from Estonia to St. Petersburg, Russia by train. All his life he has been amazed and troubled by the many real-life similarities his life had with an earlier German predecessor, also named Martens, also a lawyer, also a professor of international law and an international diplomat. As Martens reflects back in time, we learn that the good professor grew up as an orphan, has quite an ego, and had several extra-marital affairs over his lifetime. After the overthrow of the Czar, Martens got cross-wise with Soviet authorities and spent years in Siberian labor camps. It is fascinating that in the book we see foreshadowing of Soviet and Nazi atrocities in that the author demonstrates how everyone thought they were “just doing their job” in the Czar’s persecutions, imprisonments and executions of early Communist agitators. How do you write about things that you love? More to the point how can you write about the books that you love and succeed in sharing with other readers what about them captivates and enriches you? A book and its reader are a relationship and the resulting love can be as inexplicable to the onlooker as any that we see between apparently mismatched people. I once tried to persuade my mother to read The Blue Flower but saw the look in her eyes when I had got as far as explaining that the poet Nova How do you write about things that you love? More to the point how can you write about the books that you love and succeed in sharing with other readers what about them captivates and enriches you? A book and its reader are a relationship and the resulting love can be as inexplicable to the onlooker as any that we see between apparently mismatched people. I once tried to persuade my mother to read The Blue Flower but saw the look in her eyes when I had got as far as explaining that the poet Novalis had fallen in love with a young girl and realised that as far as she could tell I seemed to really like a book about paedophilia. In other words, you get one chance and its easier to get it wrong than to get it right. Well this is another book that I care deeply for. I can't say that it is perfect or ideal but something between setting, themes and the way that it is told caught me from my first reading and pleases me whenever I pick it up again. This is a novel set a few years before the First World War. It is told from the point of view of a single narrator - an older man travelling from his summerhouse towards St.Petersburg. He is an Estonian, a subject of the Russian empire, a Professor of international law, a public figure involved in the Hague Conventions and the negotiations with Japan over the peace treaty after the 1904-5 war he is also a marginal, secretive figure, existing in a police state, which has to be dealt with circumspectly. The significance of more than a word spoken to the wrong person can lead to imprisonment. Privacy and reserve are not simply character habits but survival strategies. Yet Imperial honours, regard and acknowledgement, are still alluring and yearned for. To say that he is Estonian in the Russian empire is to skim across thin ice. Privacy, reserve and self-harming silence as well as yearning for recognition by Government and court are natural reactions to the fact of being Estonian in the Russian empire. Kross, writing for an Estonian audience reading in the Soviet Union, didn't need to lay this out block by block in a way that would clog up the text. Instead the sense of being a submerged people with a distinct culture at risk of Russification but in a state in which collaboration is the way to worldly success emerges, shyly suggested, through the narrative. However just to make life a little more complicated as the Professor Martens of the title travels by train from his native Estonia to St Petersburg, recalling his life spent in service to the Tsars and international law, his recollections are interspersed with recollections of a previous life in the 18th century when he was an expert in international law in the service of German potentates and the short lived Napoleonic Kingdom of Westphalia. Aspects of each life have parallels to each other and enlarge on his consideration of the question of identity and political allegiance, which in turn leads on to contemporary political developments, Estonian nationalism and socialism. Implicitly the Professors experience of many lives and the internationalism of both I suppose affirms the idea that Estonia is one of the family of western European nations rather than simply a word shy province of Russia. In the penultimate stage of his journey, noting that this is a book about departure and all that this word might imply, he is accompanied by a younger woman. In conversation with her we see that his future will be different. The secrets and lies that dogged Martens' career and life are not experiences that have to be repeated. Not just in this life but perhaps also in future. The overly careful life of one man is made to stand as a promise for the future of a country, but as much through the silence of what is not written as though the words which are deployed on the page. A few chapters into this book, I was scrambling for Google. What I discovered is that this novel's protagonist, Professor Martens, was a real historical figure, an international law expert in the Russian court of the early 20th Century. He was an important figure in numerous important international treaty negotiations. This novel, set late in his life, takes us with him on a train trip from his small village toward a rendezvous with his wife and official meetings with other diplomats in St. Pete A few chapters into this book, I was scrambling for Google. What I discovered is that this novel's protagonist, Professor Martens, was a real historical figure, an international law expert in the Russian court of the early 20th Century. He was an important figure in numerous important international treaty negotiations. This novel, set late in his life, takes us with him on a train trip from his small village toward a rendezvous with his wife and official meetings with other diplomats in St. Petersburg. As he travels, we listen to his internal dialogue, anticipating a planned conversation with his wife in which he plans to begin an era of total candor. He reviews his personal and professional past, examining successes and failures and imagines that this new honesty will be insurance against his own death. During the journey, he also temporarily shares his compartment with a young professional journalist with socialist sympathies who knows a bit about him through her professional connections. At times Martens also tells the reader about another Martens, who lived a century earlier, another international law expert, but for Germany. It is a rare novel that gives insight into what it must feel like to be in contention for, but not win, a Nobel Peace prize, or to be left unsure whether your absence from an official list of participants in a major treaty negotiation was a typist's error or a sly political maneuver by a competitive colleague. Through Martens' self-exploration, Jaan Kross explores the moral challenges faced by highly placed civil servants in autocracies, as well as the complexities of Estonian identity. Martens regrets, as well as some professional compromises, ethical failures in his personal life: infidelity, a lack of generosity to those who sought his support, despite his own success after early humble origins. Martens is a wonderful character, drawn with subtlety and skill. Those with an interest in political history and moral self-reflection will find this book a fascinating trip. One of the better books on the 1001 books to read before you die list. It was well written. Though very little happens during the course of the story, I was always eager to get back to Professor Martens and his story. Professor Martens played an important part in Russia's history in the late 19th and early 20th centuries. His father, also Professor Martens played important roles some 80 years earlier. At times it was difficult to keep them apart as our professor Martens experiences flashbacks or One of the better books on the 1001 books to read before you die list. It was well written. Though very little happens during the course of the story, I was always eager to get back to Professor Martens and his story. Professor Martens played an important part in Russia's history in the late 19th and early 20th centuries. His father, also Professor Martens played important roles some 80 years earlier. At times it was difficult to keep them apart as our professor Martens experiences flashbacks or even past life memories of his father. A very difficult book to read in the sense that there is so much detail that you absolutely must give this story your full attention, and not everything is spelled out for you in terms of the book's underlying message. It is one of those novels you really must think about while and after you're reading it. If, however, you want a very good work by an Estonian author, this is it. I've already ordered two more of Kross's books - he is a very gifted writer. I think my only criticism of this book wo A very difficult book to read in the sense that there is so much detail that you absolutely must give this story your full attention, and not everything is spelled out for you in terms of the book's underlying message. It is one of those novels you really must think about while and after you're reading it. If, however, you want a very good work by an Estonian author, this is it. I've already ordered two more of Kross's books - he is a very gifted writer. I think my only criticism of this book would be the depth of detail because it is easy to become lost if you are not paying careful attention. It also tends to impede an uninterrupted session of reading when there are so many details. But beyond that, I felt the book to be insightful and a very good story. 1909 is the year in which this book takes place; it is four years after the signing of the Portsmouth Treaty, after the Russo-Japanese War in which at one blow the Japanese defeated Russia's navy. Professor Friedrich Fromhold Martens, an Estonian native, is riding the train from Parnu, his hometown, to St. Petersburg, where he has been summoned. The book is composed of his thoughts and a review of his life and career in the service of Imperial Russia under the Czar. Martens became a professor of international law, and shortly after his career began, he was asked to serve the Czarist regime as an expert in treaties -- asked to put together a complete history of every treaty Russia and the Empire has ever been involved with -- all of this to aid in the decisions to be made in creating a treaty with the Japanese after Russia's defeat at their hands. As he searches his life through his mind musings, his overaching thoughts seem (to me, imho) to be of his own concept of limitations placed on him throughout his life, either because of nationality or self interest, and regrets caused by what he did and did not do in his lifetime. But his realizations come too late. For example -- he notes how in private, he and his colleagues "exercise our light sarcastic wit on the Emperor, his ministers, his court, the secret police, the rascals favored by the state, Rasputin.... - but always within limits...in the presence of outsiders, we hold our tongue." (83) Then he proceeds to contrast his own actions against those of Tolstoy, who spoke out in favor of anarchy rather than government under the brutal regime of Czarist Russia. Time and again, Martens muses on how he could have done things differently, but did not, even when what the Emperor (Nicholas II -- "the chicken-brain" (102)) asked him to do contradicted what he really believed. Even during one of Czarist Russia's darkest moments in 1905, "Bloody Sunday," he had knowledge ahead of time and did not warn anyone what was about to happen. Even his own basic beliefs regarding the state and its obligation to the individual(135) reflected his understanding about what should be, yet he holds back in practice. There is a LOT in this novel, so this is just a bare-bones outline. Anyone interested in Czarist Russia and the place of the "provincials" from the Balkan countries during that time should definitely put this on their list of books to read. In this historical fiction, we follow the final journey of Friedrich Martens, Estonian international law specialist and diplomat of the late Czarist era, on the 7th June 1909 (Julian calendar) by train between PÃ¤rnu and St. Petersburg. He died suddenly at the Valga train station. During the trip from PÃ¤rnu to Valga, he reminisce about various events affecting his life, from his career successes and setbacks to his relationship with his wife, Kati, and his infidelities, also including the amazing parallels his life had with his other famous namesake, Georg Martens, who also made his name in the Napoleon era as a German international law specialist (many coincidental events happening 89 years apart). This memoir-like novel provides a fascinating view of international diplomacy at the turn of the centuries and a glimpse into the diminishing importance (and increasing impotence) of monarchies in the political landscape. It is a very interesting read for historical buffs, which also covers interesting aspects of human relationships (fidelity, envy, trust). If Professor Martens’ Departure had to be made into a film , I would definitely resurrect Ingmar Bergman to direct it. The plot of this book is so Bergman-esque that images of his films kept popping in my head. Professor F.Martens is returning to his native land of St. Petersburg from Estonia. On the lengthy train ride he reflects about his life , his affairs and his achievement. He also tries to see parallels between his life and another F. Martens who lived in Germany a century earlier ( the book takes place in 1909). One of the most acclaimed Estonian novels of the twentieth century. A melancholy read, with layers of detail and intricate characterisations. The story is sombre and slow-paced. 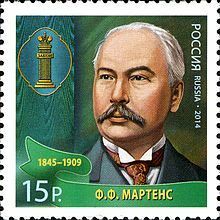 Professor Martens, Estonian-born, a specialist in the minutiae of international law, is summoned out of retirement to consult with the ministry in tsarist St.-Petersburg. Outside his train window, the revolution of 1905 is in progress. And very slowly, very hesitantly, Martens comes to realise that he's devoted his life t One of the most acclaimed Estonian novels of the twentieth century. A melancholy read, with layers of detail and intricate characterisations. There are pundits who think Kross should be a Nobel laureate: they're right. This is a marvellous tale of life in the service of the Russian empire, and of being Estonian in that empire. I read it in Estonia, which added a piquancy, although it lacks the satirical edge of The Czar's Madman. Professor Martensi ärasõit'' further solidifies my belief that Jaan Kross is Estonia's greatest literary treasure. Estonia's best-known and most translated writer is Jaan Kross. He has been tipped for the Nobel Prize for Literature on several occasions for his novels, but did in fact start his literary career as a poet and translator of poetry. On his return from the labour camps and internal exile in Russia, where he spent the years 1946-1954 as a political prisoner, Kross renewed Estonian poetry, giving it n Estonia's best-known and most translated writer is Jaan Kross. He has been tipped for the Nobel Prize for Literature on several occasions for his novels, but did in fact start his literary career as a poet and translator of poetry. On his return from the labour camps and internal exile in Russia, where he spent the years 1946-1954 as a political prisoner, Kross renewed Estonian poetry, giving it new directions.